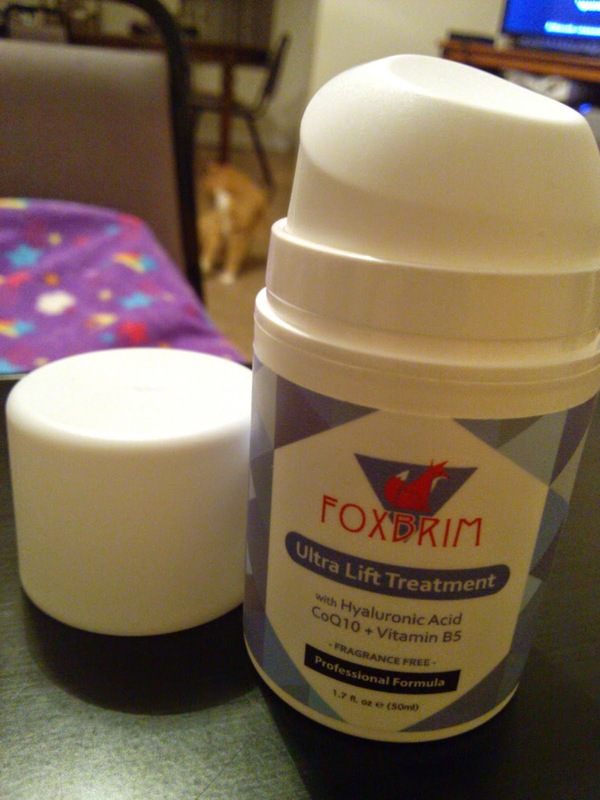 Foxbrim's Ultra Lift Treatment is a creamy serum that is designed to stimulate collagen, even skin tone and texture, increase skin thickness, and refine the skin to reduce the appearance of wrinkles. It contains all-natural ingredients including Retinol (.5%), Hyaluronic Acid, CoQ10, Vitamin B5, and Peptides. When I first started using this treatment, I was a bit confused because it's called a treatment but it feels more like a moisturizer. I wasn't sure if I should use a moisturizer afterward like other serums and treatments, but since then I've figured out that this works as a moisturizer in addition to being a lifting treatment. So it should probably be the last step in your skincare regimen. I like the creamy texture and the extreme hydration without greasiness. It seems very nourishing and keeps my skin looking supple. It also gives me a nice glow. There are no harsh chemicals and nothing that irritates my skin. I love that it includes Retinol and Hyaluronic Acid, which are two of my favorite skincare ingredients. This treatment includes everything together in one product, which makes my skincare routine really easy.